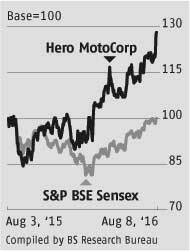 Hero MotoCorp (HMC) reported better-than-expected numbers for the June quarter. 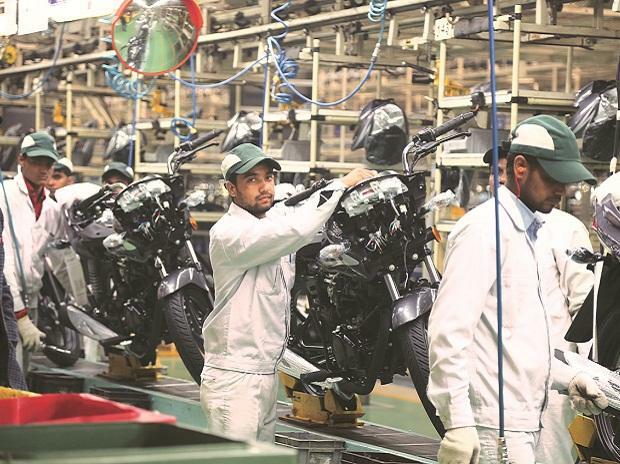 Buoyed largely by a six per cent growth in volumes, net sales increased seven per cent year-on-year to Rs 7,399 crore. Given the price hike in April this year, realisations too crept up by one per cent, improving the top line. Sequentially though, realisation fell given lower sales of spare parts, which fetch better margins. Volumes in the quarter are the highest in HMC's history and came both from the rural market (up seven per cent) and urban centres (which has done a tad better). A large part of the volume gains have come from the 125-cc segment with its brands Glamour and Super Splendor growing 29-32 per cent. 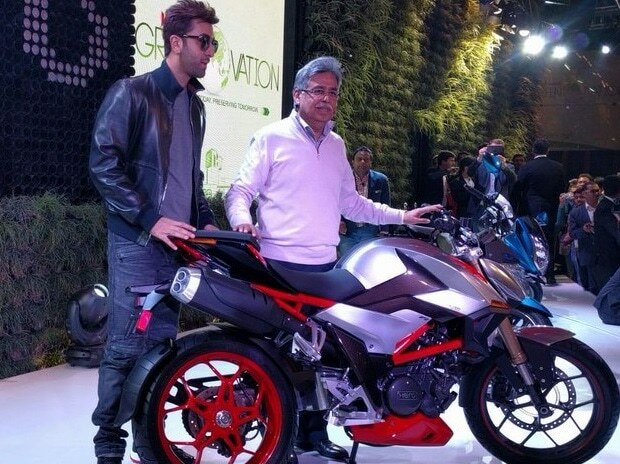 The company has a 50 per cent market share in this segment. Positively, the overall volume trend should remain healthy even as HMC is facing competitive pressures in the entry-level segment as well as in the premium segment from rivals and there is a bit of undercutting which could have impacted the company's June quarter volumes. The management indicated that rural growth is expected to be stronger, given improvement in sentiment and expect growth, especially in the rural segment, to be in high single digits. It indicated that with the pick-up in the rural economy, it expects to improve its overall market share, which has been under pressure. The takeaway in the quarter, however, has been the uptick in operating profit margins which spurted 153 basis points year-on-year to 16.6 per cent, its highest ever. 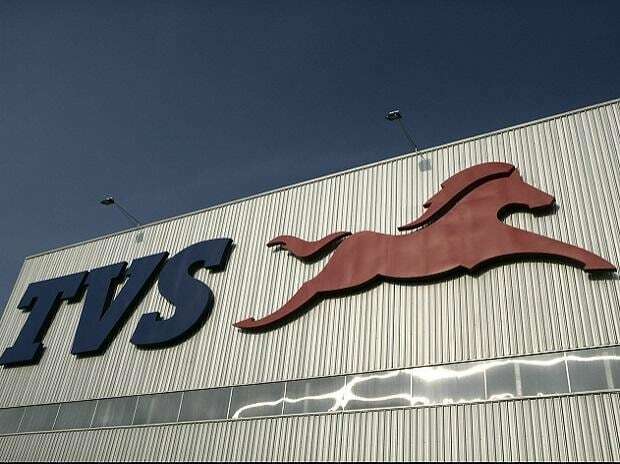 While operating leverage has helped, the 256-basis point drop in raw material costs as a percentage of sales to 67 per cent was the single biggest reason for the surge. 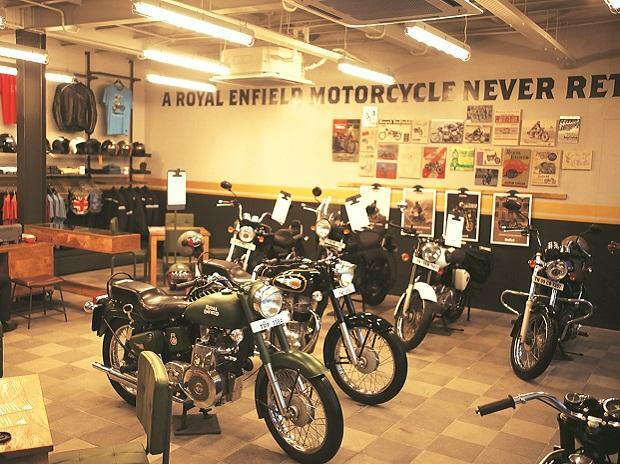 The margins came in higher despite a 17 per cent jump in other expenses (led by higher promotional expenses), which account for about 12 per cent of sales. Operational performance coupled with higher other income and lower tax rate helped boost net profit by 18 per cent to Rs 883 crore (better than the Bloomberg consensus estimate of Rs 843 crore). The company indicated that there was a marginal upward trend in prices of aluminium and steel, which could put pressure on the margins. But, it also hopes that its LEAP programme and higher volumes from the rural markets would offset some of the margin pressure. HMC has given a guidance of achieving an operating profit margin in the range of 14-16 per cent in FY17. The stock after gaining three per cent intra-day ,settled with a gain of 0.7 per cent. At the current price, it is trading at 17 times its FY18 estimates.